Dylan is a cheeky puppy who is always up to mischief. One morning he spots an opportunity to sneak off on an adventure of his own, but it doesn't turn out quite how he expects it to! Join Dylan on his adventures and see what he discovers. 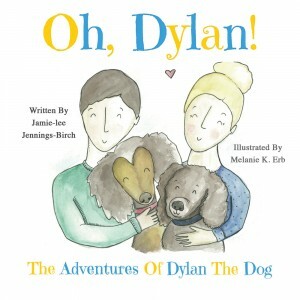 This book is based on a real rescue dog and proceeds from the book are donated to animal rescue charities. Dylan is a cheeky puppy who is always up to mischief. One morning he spots an opportunity to sneak off on an adventure of his own, but it doesn’t turn out quite how he expects it to! Join Dylan on his adventures and see what he discovers.